Hero Splendor Plus price in Delhi starts from Rs. 50,210 (Ex-showroom). Splendor Plus is available in only 5 variant. Hero Splendor Plus Drum Kick and Alloy is priced at Rs. 52,210 and the top-end variant Hero Splendor Plus IBS i3S is priced at Rs. 54,150. Hero Splendor Plus's top competitors are Hero HF Deluxe (price starting at Rs. 38,900 in Delhi) and TVS Radeon (price starting at Rs. 48,400 in Delhi). Share your experiences with Splendor Plus? Q. Is Splendor plus good to buy or not? Yes, It is Good to buy. Yes it is . if it is for office going and coming back . i am sure you can ride this to your retirement farewell . Q. CAN I TRUST ON RADEON INSTEAD OF SPLENDOR PLUS. IS IT BE GOOD CHOICE FOR MILEAGE, LOOK AND SERVICE. Q. On road price is 65000 rs for splendor plus. Is it true? Q. What is the on road price of Splendor Plus in Koramangalla location, What is the mileage it gives? Hero Splendor Plus is priced between Rs. 48,000 - 53,350 (Ex-showroom Price, Bangalore). The claimed ARAI mileage for the Hero Splendor Plus is 80 kmpl. Q. I am willing to purchase a bike i.e. splendor plus self start and alloy wheels, please tell me discount/offer of October in Amritsar. Q. 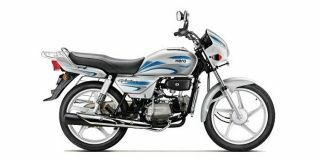 Is there any offer on Hero Honda splendor Plus? Confused about Hero Moto Corp Splendor Plus?